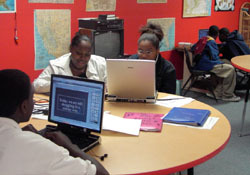 Over the past two years, CTCNet’s "Youth Visions for Stronger Neighborhoods" program has provided grants to 15 community technology centers (CTCs) to engage youth in community decision-making using multimedia tools. This six-month program asks youth to research their community through media clips, interviews, and community events, and then craft a solution to a problem they view as significant. This year, 80 youth from seven CTCs presented creative solutions to some of the most pressing problems in their communities. The communities responded by hosting meetings at mayors' offices, recognizing the youth at community planning meetings, and organizing new youth councils to ensure youth voices continue to be heard. The Ark, an after-school youth program in a public housing development in Troy, NY, engaged 15 students in exploring issues ranging from the importance of community arts to racial discrimination among the housing security staff. This latter issue drew the community together in ways that inspired the youth to work to improve relations between housing security and residents. The youth from the Ark focused on the lack of communication between the housing security and the local youth they were hired to protect. The youth felt the privately-hired housing security staff was threatening and hostile to them, rather than supportive. They addressed the issue by creating a video, which included interviews with resident youth and adults who voiced their concerns. The youth asked to interview the head of the housing security, but he declined several times. Prior to the community event where the youth planned to present their work, however, the Director of the Troy Housing Authority (THA) came to The Ark and demanded to see the video. The youth explained that they had tried to interview the Security Head to include his views but had been ignored. The Director, seeing that the youth were serious about this issue, invited several security staff to the community event as well. With 75 people attending, the event was a success, leading to improved communication between the security staff and the youth. Six of the youth involved continued working on the video through eight weeks of their summer vacation. The THA Director was finally interviewed, but calls to the Security Head were not returned. Although frustrated by their first real encounters with the power and bureaucracy of the Housing Authority, the youth continued throughout the summer. They expanded their original video by exploring issues of safety, racial profiling, and the criminality of youth. Future screenings of the revised video will continue to create bridges between the staff and residents. Members of the THA administration now recognize the youth as valuable members of their community, and the youth, despite the challenges faced, plan to continue their efforts to better their neighborhood. COSACOSA art at large, a community-based organization using art to inspire dialogue among diverse groups, brought together youth from Philadelphia’s Nicetown-Tioga neighborhood to decide how they could help build a better community. The youth focused on the lack of community engagement in North Philadelphia neighborhoods. COSACOSA youth worked with community leaders and neighborhood elders to rekindle community involvement. The multimedia projects created by the youth—several digital murals, a CD, and a video— highlight young people as a neighborhood resource for community-building and show how they can create intergenerational bridges for community planning. During the project, the youth attended the meetings of local community development corporations (CDCs), and spoke out about their efforts. This inspired leaders from these CDCs to work together for the first time in years on a topic of common interest. The youth presented their video at a Nicetown-Tioga Improvement Team meeting. Approximately 60 people attended, including the local CDC, neighborhood residents, local police and fire officials, and representatives from City Council offices. The Team, impressed by the work of the young people, honored them with certificates of merit at the following month's meeting. The project gained such momentum that the youth were invited to present their video to members the Mayor’s Office of Community Services. The city officials responded to the youth, and promised to engage them as essential partners for future community planning. COSACOSA and its partner organizations have formally adopted a community planning project, which will support the youth and their planning goals throughout the coming year. Located in the Mississippi Delta, the Freedom Project uses the history and spirit of the civil rights movement to motivate young people to become leaders in their communities. Nine Freedom Project youth from across Sunflower County used multimedia technology to document their local civil rights history and to inspire fellow youth to continue in the county’s rich tradition of activism. Although the county’s residents played a key role in the civil rights movement, the youth discovered there are few markers, sites, or community programs highlighting this history. As a result, the youth concentrated on interviewing community members, particularly elders, about the needs and assets existing in the county. One community leader told the youth, “the movement is in you,” noting the young people in the county have a responsibility to continue leading change. In another interview, one youth discovered his grandmother had been a leader in the civil rights movement. 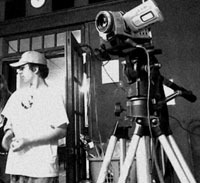 After completing these interviews, the Freedom Project youth focused their multimedia projects on creating awareness in the community of the local civil rights history. 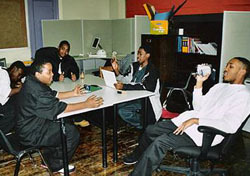 In their video, the youth encourage their peers to look to their past for the inspiration to address the issues, specifically within education, facing them today. The youth shared the video and website they created with 48 community members, including school officials, local government reps, parents and business owners. The audience described the project as a valuable contribution towards the improvement of the community. Building on their Youth Visions work, the Freedom Project youth are organizing a group of students to develop a 2-3 year community service project that will result in lasting community impact. The youth have also been approached by a local history preservation program to produce additional historical video pieces. Each of the programs demonstrates the power of using multimedia technology and community research to engage youth in community decision-making. In each example, community members ranging from the Mayor's staff to local elders spoke about their increased recognition of the youth as valuable assets within the community. At the conclusion of the 2006 grant program, the Youth Visions Curriculum Guide will be made available to CTCNet members to implement as part of their youth programs. Organizations may join CTCNet online to ensure access to this Guide next year. CTCNet thanks the Learn and Serve America division of the Corporation for National Service for funding this innovative service-learning program. We also thank the grantee organizations for their input over two years of Youth Visions programming. The curriculum and supporting materials would not have been possible without their thoughtful feedback. 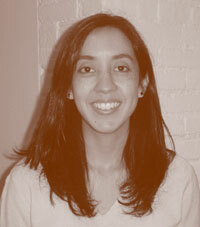 Tara Kumar is CTCNet Program Associate helping coordinate the Youth Visions program.